SF Bay Area Landscape Designer Best of Houzz 2014-2018! Landscape design and installation company specializing in custom residential remodel. Bill Fry Construction - Wm. 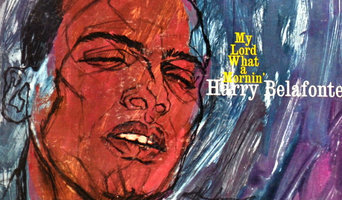 H. Fry Const. Co.
BEST OF HOUZZ SINCE 2012! General contractor building new custom homes and remodeling houses in the San Francisco Bay Area for over 20 years. Known for outstanding workmanship, personalized service, green building, net zero construction, and Passive House. We provide informed choices toward a healthy, energy-efficient and resource-efficient home. Expertise in: custom home building, fine home remodeling, custom cabinetry, historic renovation, luxury custom homes, and green-building technologies. Owner is directly involved with all home improvement projects. We have our own award-winning custom cabinetry and millwork shop, which provides a faster turnaround and greater selection in building your home project (we also install cabinets made by others). Qualifications: - Licensed General Contractor - Certified Green Building Professional - EPA Lead-Safe Certified Firm - Trained in Passive House - Built LEED-level, netzero, and Passive House homes - Journeyman Carpenter training Prior to obtaining his California Contractor's license in 1987, Bill Fry built over 100 hillside homes at Portola Valley Ranch as a journeyman carpenter (a four-year training program) and foreman. He has since hired and collaborated with like-minded professionals to create a world class home improvement team, which has been affirmed by international awards in fine home remodeling, quality kitchen design, home construction. See our YouTubes: <a rel="nofollow" target="_blank" href="http://www.billfryconstruction.com/videos/">http://www.billfryconstruction.com/videos/</a> Email us: Bill@BillFryConstruction.com Project Types: - Custom Home Building - Home Remodel - Home Addition - Kitchen Remodel - Outdoor Living Areas - Fine Finish Carpentry - Custom Cabinetry integrated with the structure of your home. For specialty projects, we have our own award-winning artisanal cabinet studio, architects and designers love us. CARPENTRY BY DESIGN I enjoy building . I love Backyard structures : Sheds, Decks , Treehouses, Playhouses etc I endeavor to make something fresh and different. . I specialize in custom carpentry and woodworking products, designed and made to specific needs.. I like making things and being challenged in the process.. On my PROJECTS page you see a range of craft , design and imagination. I especially enjoy making custom garden studios, children's play houses and tree houses. I served my apprenticeship In Newcastle , England as a carpenter / joiner. I started off working for a 100 year old family firm . I served most of my apprenticeship with Jimmy Spence . Jimmy was with the firm a long time. He was very patient and had plenty knowledge to pass on. E L S Home Builders Inc.
We are a full-service architectural firm for those looking for a higher level of attention and environmental stewardship. Each project is a unique creation made especially for that family leading to clients who are proud of their one-of-a-kind homes. Our clients value our ability to understand them. The varied architectural styles of our projects reflect our goal to embrace our clients' interests and desires. We match their goals to the essential qualities of good architecture: strong plans, good proportions, and a high attention to detail to make functional and beautiful houses. We are leaders in environmental stewardship. Our focus and expertise in green design has resulted in one of our houses meeting LEED Platinum criteria, one of Northern California's first. Silicon Valley's Landscape Design & Build Firm | Best of Houzz 18-19! Darci Reimund Designs is a full-service design firm specializing in high-end residential and commercial projects. Our design is reflective of our clients’ lifestyles and needs. We believe that each space should tell a story based on its functionality, while weaving in individual style. Utilizing a mixture of modern, rustic, stylized and traditional pieces with simple, clean lines; Darci Reimund Designs organically blends the lines between form and function, casual and formal that inspires the essence of living and working well. Design Philosophy Our goal is to create welcoming interiors that are rich and layered with style. We incorporate classic principles of scale, proportion and quality in each design, and focus on a collaborative approach with our clients. In the end, this helps our clients develop and define their own taste and style. We provide value by encouraging quality and timelessness, ultimately achieving a beautiful, comfortable and functional space. Square three design studios is a collaboration of creative, motivated design professionals continually pursuing new architectural projects that are challenging, unique, and personalized to meet each client's needs and goals. We specialize in single family, owner specific residential architecture. Completed project types run the gamut from small residential interior remodels to custom new homes. Our goal is to provide uncompromising service to every client. We understand that communication and rapport is of paramount importance for the complete success of a project. This is the philosophy that has formed long lasting relationships and has created a large spectrum of clientele based on referrals. The lasting success of square three design studios is partly due to the meticulous thought and development process that is present throughout every phase of a project. Regardless of the project size, special attention is directed towards spatial relationships, circulation patterns, proportions, function, orientation, patterns and alignment, and budget. square three has the ability and experience to work with our clients through the creation and realization process of their new or renovated residential or commercial project. The Peninsula's Top Quality Interior Design Firm I 4X Best of Houzz! Winner: Best of Houzz 2014, 2015, 2017, 2018 Jennifer Lee, Assoc. AIA, has a Bachelors degree in Architecture from the University of Oregon and has worked as a designer and project manager in architecture firms in Oregon and California for 25 years. 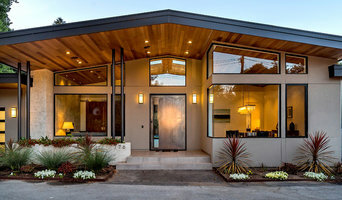 She currently is a sole proprietor of Bay Area Designs, a residential design firm based in Palo Alto, specializing in new and remodeled homes with a "warm-modern" aesthetic. Jennifer is capable of completing the whole house design from schematics through permitting. She is a Certified Green Building Professional with Build It Green and an Associate member of the American Institute of Architects. Stoecker and Northway Architects, Inc. Serving the San Francisco Bay Area, Stoecker and Northway Architects, Inc. has provided architectural services to a variety of clients since it was founded in 1978. Our primary goal is to provide high-quality personalized service. Every project is unique; we pride ourselves on developing designs that are responsive to our client's needs while respecting the constraints that apply to the property. Functionality, schedule and costs are carefully monitored throughout all phases of a project to ensure client satisfaction with our completed work. San Jose Hardwood Flooring & Carpet Specialists.Best of Houzz Winner. Miller Landscape Architecture is a Bay Area design firm specializing in residential design and project management. Klopf Architecture brings the outside in. For 15 years the team at Klopf Architecture has sought to understand each client's needs, then designed custom solutions for each unique situation. Specializing in new warm, modern homes and modernist net-zero energy houses, the firm uses clean lines, proportioning, restful alignments, and natural materials to admit natural light and connect inhabitants with nature. The firm's primary goal is to create spaces people love to inhabit. 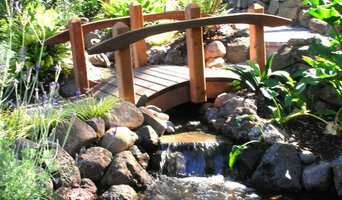 Verdance Landscape Design is a residential landscape design studio in Palo Alto, California. We create welcoming destinations that engage the senses and enliven the spirit… landscapes to live in! Reach out to multiple professionals — especially for larger projects — and don't settle for the first bid you hear. Comparing multiple Palo Alto, CA professionals' bids and experiences can help you find the one that’s best for you. Ask a lot of questions now, so you won't have unexpected answers later. Find a home design professional on Houzz. Narrow down your search by type of professional and location. Browse Palo Alto, CA portfolio photos, read client reviews and contact each Palo Alto, CA professional for more information. Check out the information in the specialized professional sections too for tips on how to hire the right professional for your project.